Art Director: Alison Donalty / Alison Klapthor, 2016-2017. 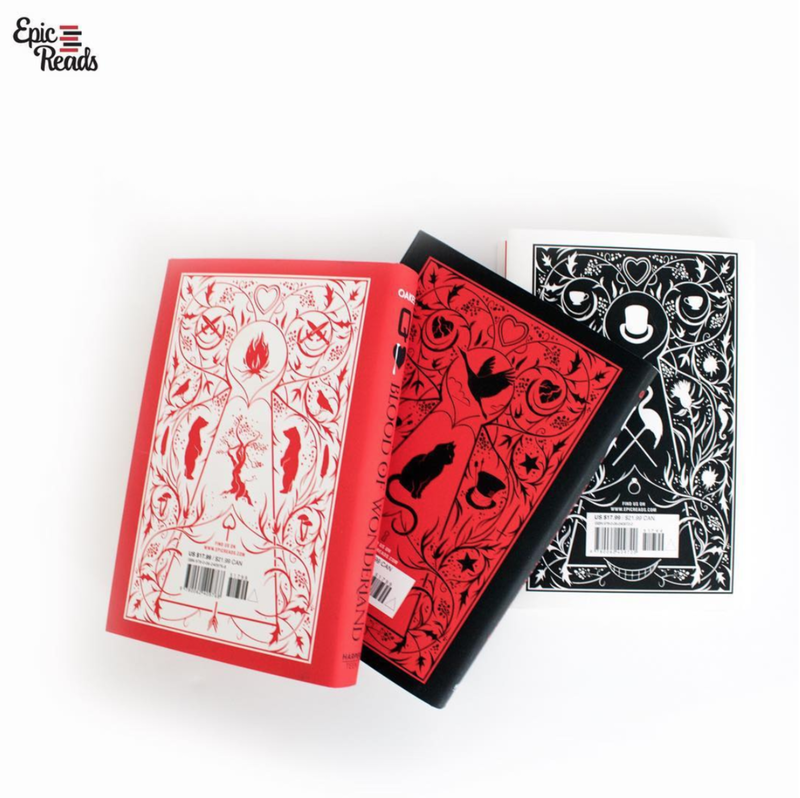 Design of an Alice in Wonderland-inspired trilogy. Illustrations by Ruben Ireland. Queen of Hearts was accepted into the 2017 New York Book Show in the Hardcover Young Adult Fiction category. Photos above by EpicReads.